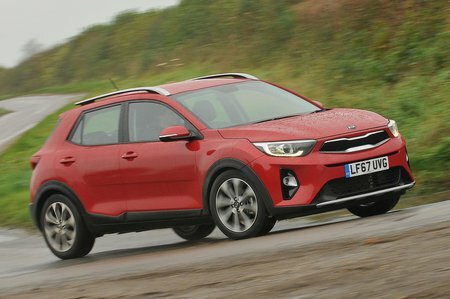 Kia Stonic Performance, Engine, Ride, Handling | What Car? Although we’ve yet to try the Stonic in entry-level 1.4-litre petrol form, experience of this engine in other models suggests it's probably best avoided. That's because there's no turbocharger, resulting in very little pull at low revs. The 1.6 diesel is better, pulling much more eagerly once you get the revs above 1500rpm, but it still doesn't exactly deliver swift acceleration. Besides, not many buyers in this class will want a diesel engine. That leaves the 1.0-litre petrol, which is undoubtedly the pick of the range. How so, you might ask, seeing as it’s so small? Well, it has a turbocharger, boosting power to 118bhp – 20bhp more than the 1.4 – and there's almost as much low to mid-rev clout as in the diesel. All of which makes the 1.0 ideal for sauntering about town or getting up to speed on motorways. And when you rev it out, it becomes suprisingly nippy, with enough guts to gallop past slower-moving traffic. It certainly feels a darn sight sprightlier than the Renault Captur’s 0.9-litre TCe 90 engine or the Suzuki Vitara’s 1.6-litre petrol. Well controlled but on the firm side – that’s the best way to sum up the Stonic’s ride. 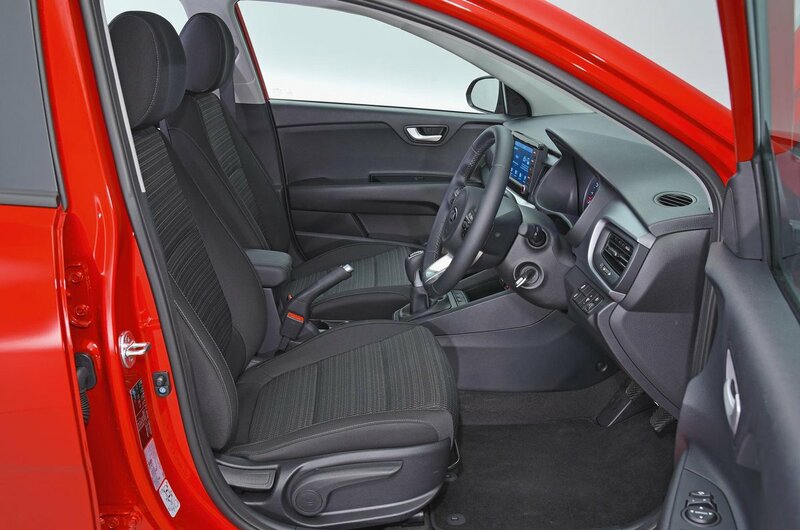 Unlike the Captur, it follows little road undulations and creates a shimmy though the interior as it does so. Pass over a ridge and it thumps – not overly harshly, but enough to make you notice. Even at motorway speeds, the Stonic continues to fidget along Tarmac that looks perfectly flat. Thankfully, it never becomes bouncy like a Citroën C3 Aircross, although you'll experience an altogether smoother ride at all speeds in a Captur or Seat Arona. Despite the fact that the Stonic is essentially a jacked-up Rio, the raised ride height hasn't substantially downgraded its nimbleness. Indeed, this is actually one of the most agile small SUVs you can buy, reponding surprisingly eagerly to steering inputs and staying upright through corners that would see a Captur or C3 Aircoss tipping over onto its door handles. 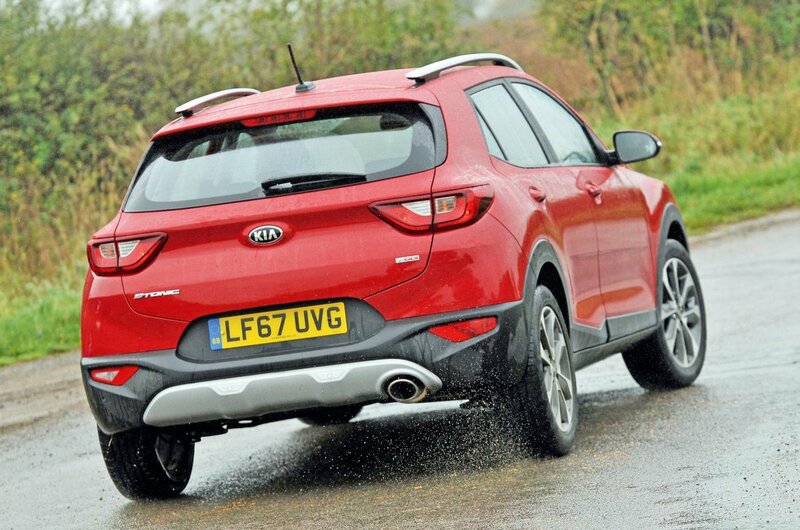 Even if you’re mid-corner and the road suddenly becomes bumpy, the Stonic doesn’t become overwhelmed. And while the steering isn’t exactly feelsome, it’s precise and nicely weighted around the straight ahead, making it easy to stay in your lane on the motorway. However, the Arona is more enjoyable to drive, with even better steering and more front-end grip. Bear in mind that all Stonics are front-wheel drive, so if you need a small SUV with some off-road ability, we’d suggest the Vitara. The 1.6-litre diesel engine should be avoided if a tranquil driving experience is your priority, because it’s so much boomier than the Captur's 1.5 dCi 90. The Stonic’s 1.0-litre petrol engine is a sweeter prospect. Sure, you still hear it thrumming away when you rev it, but it makes a pleasant rasp rather than the diesel’s intrusive clatter. All Stonics suffer from wind and road noise at motorway speeds, though. In stop-start traffic, the Stonic’s standard six-speed manual gearbox (an automatic will join the range next year), combined with a positive clutch pedal, a well-defined biting point and progressive brakes, make smooth driving a breeze for even the most ham-fisted of drivers.